NFL cornerback who debuted in 2012 for the Denver Broncos. He was a member of the Broncos' 2013-14 AFC Championship team. 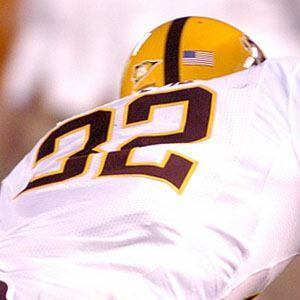 He was first team All-Pac 10 in 2010 while playing for Arizona State in his junior season. He took the 2011 season off to rehab a torn ACL, then entered the 2012 NFL draft, where he was selected in the 4th round. He is very close to his mother, Angela, his dad, Carney, and his younger sister, Keisha. He has been dating recording artist Candice Craig, whom he also runs his own YouTube channel with. He was drafted into a Broncos secondary that featured Champ Bailey.